Pipe reducer is a kind of pipe connection. 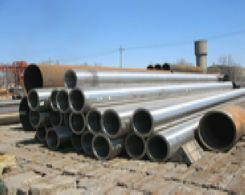 It is able to connect pipes of different diameters. In order to better transport oil, natural gas and other fluid by welded steel pipe, pipe reducer made a great contribution. The use of the reducers will be benefit for fluid transportation and daily life and production, but because of its wide range, therefore, it is very necessary to choose the right type of reducer under the right conditions, it can make the reducer's advantages greater extent. In order to improve the performance of the suction pump, pipeline pump suction line should be as short as possible, minimizing the bend (elbow preferably with a large radius of curvature), so that reduce pipe resistance losses. To prevent pump cavitation, pump suction line should be possible to avoid the accumulation of gas in the capsule -shaped parts, if the accumulation cannot be avoided. DN15 or DN20 vent valve should be set in the bag-shaped parts. When the pump suction pipe is the vertical direction, eccentric reducer should be configured on the suction pipe to avoid formation of air pockets if it is necessary. In order to avoid force and torque brought by the weight of weld steel pipes and valves and piping thermal stress generated by the pump exceeds the maximum allowable export external loads on the pump. We must provided pipe rack on pump's suction and discharge piping. Pump nozzle allows the maximum load provided by the pump manufacturer. If the import or export of pump is vertical, the nozzle shall be located above the line pipe rack in order to reduce the force of the pump nozzle. Its flat position should be as close as possible to the nozzle, you can use the pipe rack stringers hanging branch pipeline, so the pumps are always arranged in a tube porch. If the liquid conveying density is less than 650Kg/m3,such as: liquefied petroleum gas, ammonia , etc. It is better to equipped with a straight weld steel pipe which diameter is approximately 3 times as import on the inlet of the single-suction pump. As to double suction pump, double suction pipe of pump should be arranged symmetrically on both sides to ensure uniform flow distribution in order to avoid a two-way suction centrifugal pump cavitation level. Vertical pipes connected by a vertical pipe elbow directly, but the pump must be perpendicular to the plane of the axis of the elbow is located. In this case, the import piping should be as short as possible, then using elbow to connect the pipe reducer, followed by inlet flange. Under other conditions, there is necessary to equip a straight pipe not less than three times the diameter before the pump inlet. We can use a vent valve to put the liquid out between outlet shut-off valve and check valve of the pump. When the diameter is larger than DN50, you can also put a vent valve by opening a hole in the cover of check valves. the inlet and outlet valves specifications of the pump should adopt the same standards. 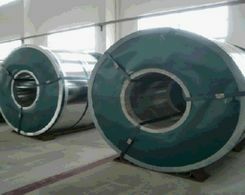 The black steel pipe and API steel pipe are also available. Next:What is the Black Steel?